Suits come in many shapes and forms. 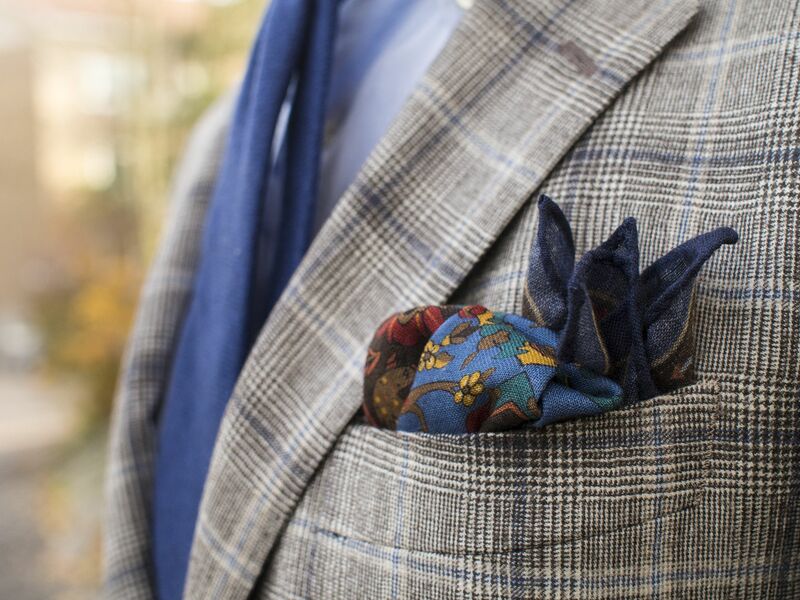 The formality of them is often defined by many features, but a distinctly-patterned piece of clothing is rarely suitable for the most formal occasions. 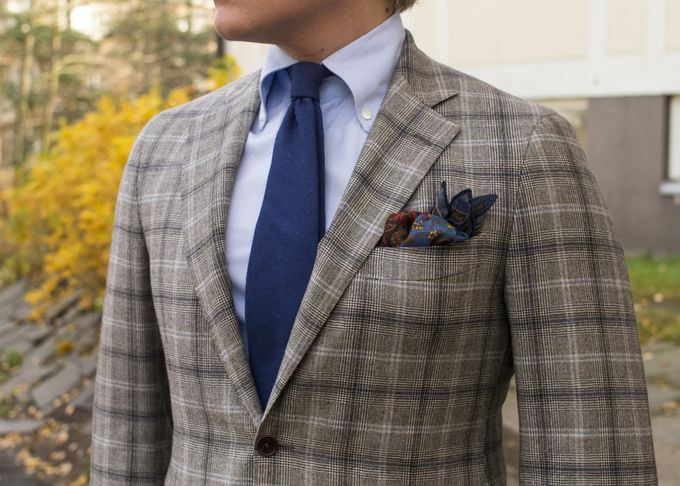 A patterned suit can however, be great for those casual Friday's or other slightly more informal events. My wardrobe has a couple of suits that are perfect for this kind of use, and today's pictures include another one of those. 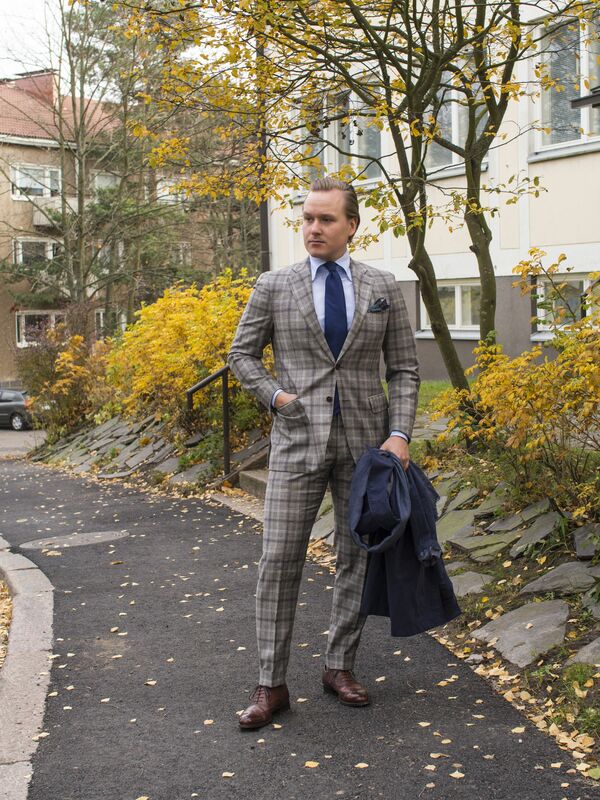 So, the worn pieces include a virgin wool suit from Tombolini, Alessandro Gherardini made-to-measure shirt from Vaatturiliike Sauma (separate review coming up soon), cashmere tie from Berg & Berg, wool silk blend pocket square from Drake's London, braces from SuitSupply, socks from Berg & Berg and full brogue Oxfords from Alfred Sargent. The collar on this shirt is fantastic. Looks great both buttoned and unbuttoned. 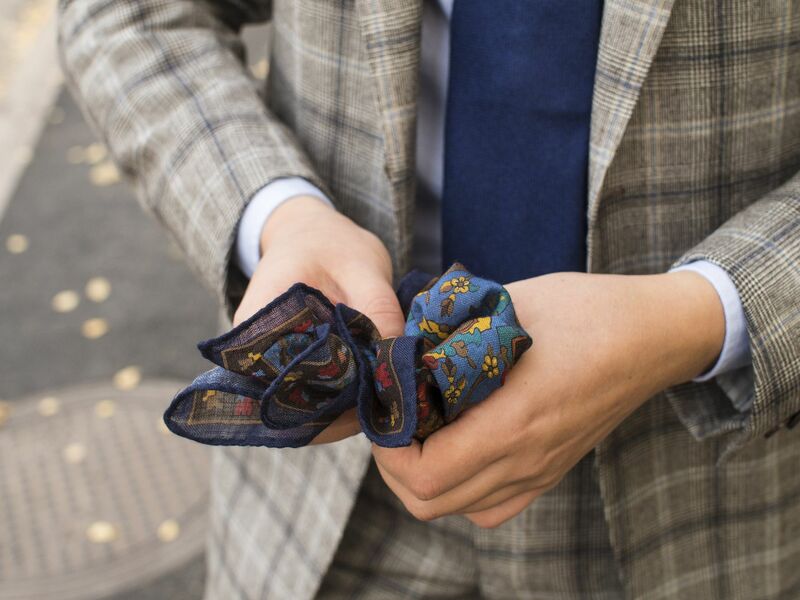 Pocket square folding in progress. Time after time, the wool silk blend Drake's uses keeps amazing me. The subtle blue check within the fabric makes all blue accessories a better than good fit for this suit. 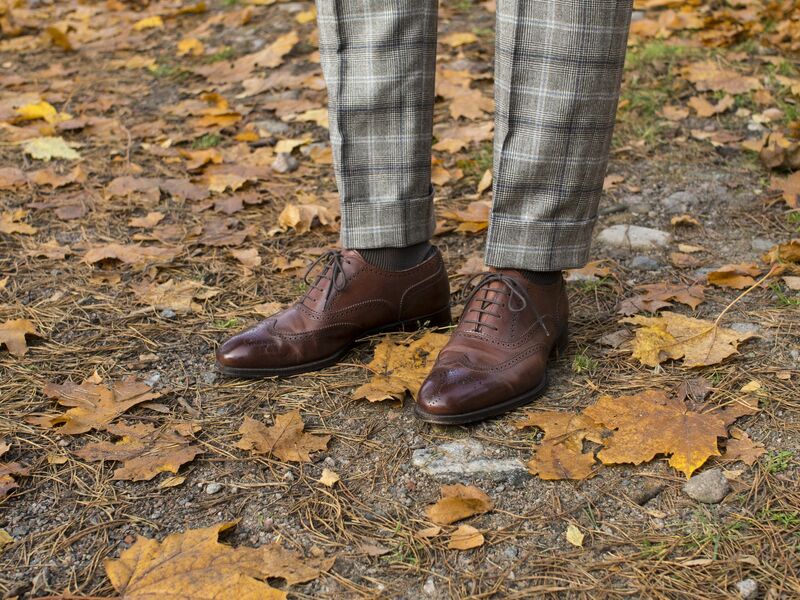 The full brogue shoes go surprisingly well with this kind of semi formal outfit, especially during fall time. I especially enjoy the dark chestnut brown color of the shoes, one that goes really well with most often-used fabric colors. Next week we'll continue with more autumn and early winter inspiration, so make sure to check back regularly. Also, remember to follow my Instagram for daily updates and unique content.